I stayed at the U Betty in Ostrava, Czech Republic. 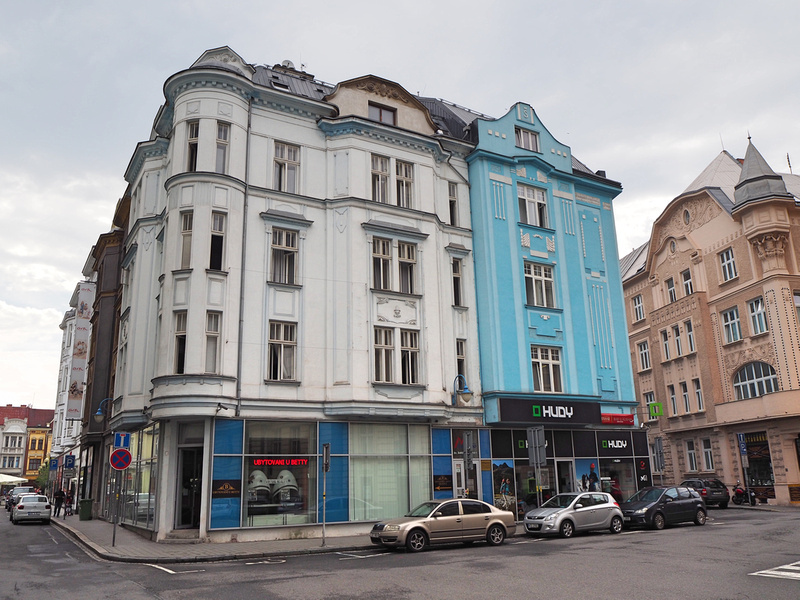 I booked it online for its price and location in the Ostrava old town area. I got a private room with a shared bathroom, and the room is accordingly priced between a hostel and hotel. The hotel is in an old building with no lift, so it was up three flights of stairs to my room. These old places have high ceilings, and the rooms are bigger than newer hotels. I had two single beds pushed together. I’m not sure if that is meant to pass as a double, or an intimate twin room. Either way, the other bed ends up becoming a space for leaving clothes. The bed itself was comfortable. I was there during a hot summer, and after being based in Asia for so long I forget that Europe (in general) don’t have air conditioning or fans in rooms. The rooms have the heating sorted, but are not prepared for long summers. Fortunately the big windows were easily opened, so I could get some air circulating. 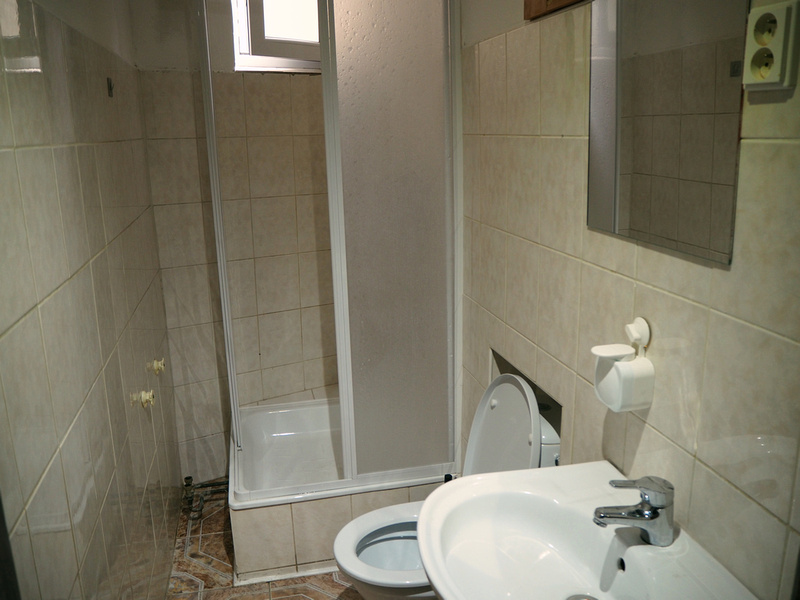 The shared bathroom had a single toilet and shower in one room. There were two on my floor, which seemed to be enough during my stay. 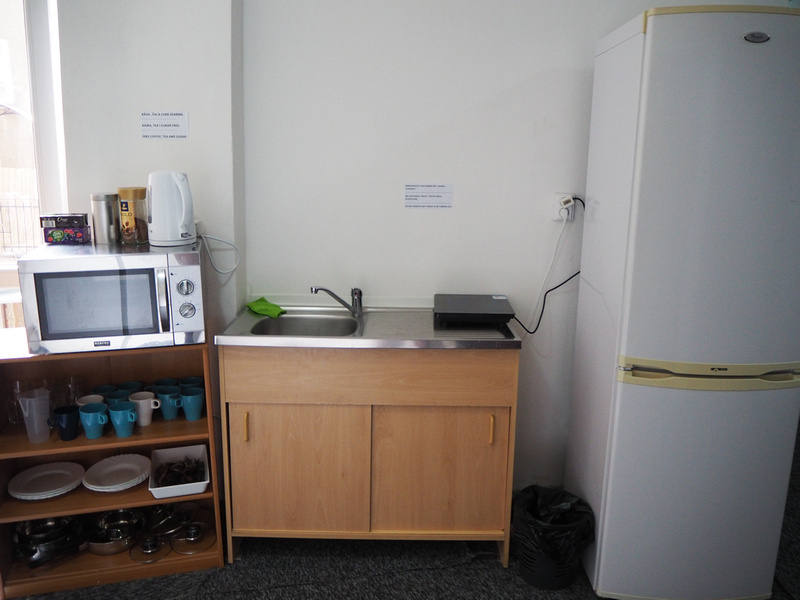 There is a kitchenette on the floor which has tea and coffee facilities. Also included is a microwave and a little hotplate, along with some utensils. A supermarket is nearby if self-catering is your thing. There is free wifi throughout the property, and it was a good connection throughout my stay. The hotel doesn’t provide a breakfast service. I was here for a conference so I spent a few days in town. The location turned out ideal for being in an interesting part of town. The main train station is not in the town centre, unlike other cities in Czechia where the town centre is close to the main station. You can get the tram from the station to the city centre, and the trams use Visa Paywave, so no need to work out how to get a ticket. Overall this was a good place to stay if you are just looking for a cheap room in Ostrava. Book the U Betty online or search for more hotels in Ostrava.